If you can recall, the social networking giant launched Skype-powered video calls to their desktop website few months back. The addition of Skype-powered video calls to its official website received a lot of appreciation from users. Based on its popularity and positive feedback, it is said that the feature will soon be introduced to mobile devices, including Android smartphones, Windows Phones, iPhone, iPod Touch and iPad. Today, we have come across a news suggesting that Facebook video calling for mobile devices is in the pipeline and its beta version soon be released to users. The news come straight from iPhoneItalia, an Italian blog dedicated to iOS devices, citing some unknown sources claiming that the social networking giant has already started testing the new build of its Facebook Messenger app. It is important to note here that an adminvideocall.png file was discovered deep in the Facebook Messenger application three months ago. 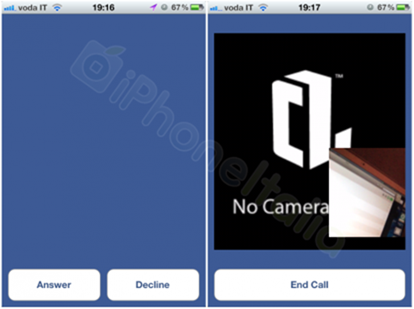 The Italian blog has also shared some screenshots of the app exhibiting a relatively simple interface. The video of the person with whom you are talking is displayed in the center, while your own view is appearing in a small box at the bottom-right. We can also see options like Answer, Decline, End Call and Continue. After introducing the video desktop interface, it seems that Facebook wants to bring the same service even on IOS devices. 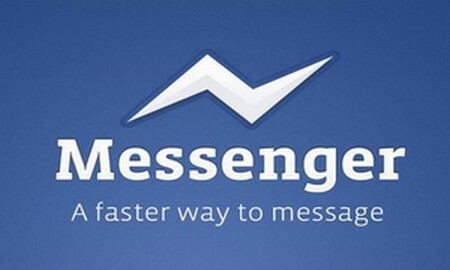 In this regard, the company has just released a new beta for developers the Facebook Messenger Beta where it is active – albeit in a rudimentary way – support for video calls. If we talk about the authenticity of the screenshots we can say that there is very low probability that these are fake considering the intentions of the Facebook to draw more and more users to its social network. Moreover, iPhoneItalia didn’t clearly mention whether the updated version of the app is for iPod touch 4G and iPad 2 as well or not. 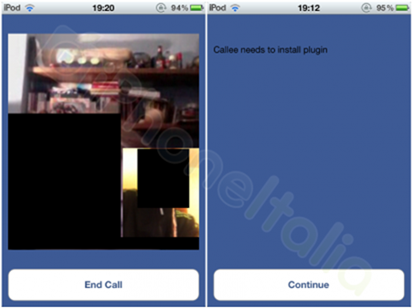 However, it is evident from one of the screenshot given, displaying ‘iPod’ in the status bar confirming that the upcoming update do have support for iPod touch and most probably for iPad 2 as well because there is no reason Facebook would not include its video calling for its all devices. The story is still developing and we will come back to you with more updates soon.